Gardeners call compost ''black gold''--it is the product of decomposition of your kitchen scraps and yard waste and it works miracles in your soil. Use it to fertilize your beds and gardens indoors and out, to amend problem soil, to topdress spotty grassy areas--its uses are endless. And it's easy to make. You can just throw everything in a pile in the corner of your yard and it will decompose on its own, or you can buy or build a composter. If you have limited space or no yard at all, you can set up a worm composter. Suzanne Lewis has been a Master Composter for more than a decade. 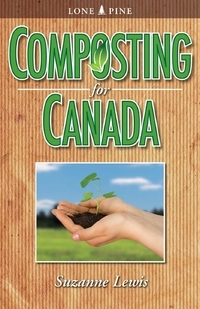 In this book she explains all the secrets to creating your own black gold: * Special considerations for Canadian winters * Types of composting and types of bins * ABCs of backyard composting * What to put in the pile * How to accelerate the decomposition process * Troubleshooting * Mulching and grasscycling * Worm composting * Finished compost and what to do with it * Problems and pests * Loaded with colour photos and illustrations, diagrams and charts, this book is sure to become one of your most useful gardening books.